Thanks to the selection of teeth whitening treatments and procedures that are available today, no one has to live with a stained smile anymore. A white, stain-free smile may not be able to change your life, but it can change the way you look and feel about yourself. 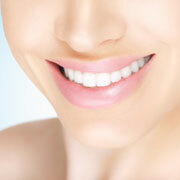 Our cosmetic dentist in Torrance CA has five reasons to have your teeth whitened today. 1. Teeth whitening is extremely effective and can remove virtually all stains from your smile, including nicotine, wine and coffee stains. 2. Teeth whitening can boost your confidence. When you do not feel good about the way your teeth look, you may be reluctant to smile. This can result in an overall poorer self-image. 3. Whiter teeth look like younger teeth. Stained teeth become more common with age, which is why the appearance of a person's smile can be so helpful for determining a person's age. Eliminate stains for a brighter, more youthful smile. 4. You may discover renewed commitment to good dental health. When you feel confident about your smile, you want to take care of it. You may find that you are more dedicated to good brushing and flossing habits, and you are even more likely to schedule regular dental checkups. 5. Teeth whitening is affordable. There are teeth whitening solutions to fit nearly every budget. We may recommend take-home whiteners, in-office procedures, chair-side whitening or porcelain veneers to renew and rejuvenate your smile, and we can make budget-friendly recommendations that will work with your needs and your lifestyle. Contact our expert in Boost whitening in Torrance to schedule your consultation.